If your bed is too firm, or if you’d just like an extra layer to help with pressure points, a wool mattress topper is something you may want to consider. There are dozens of different types of mattress toppers available, and this can make it confusing to choose the best one for your needs if you’re not sure what to look for. 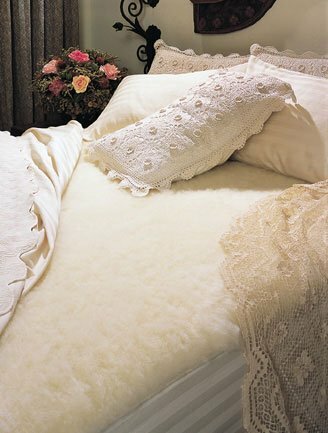 In particular, the best wool mattress topper is a great choice because wool is very durable and long-lasting. 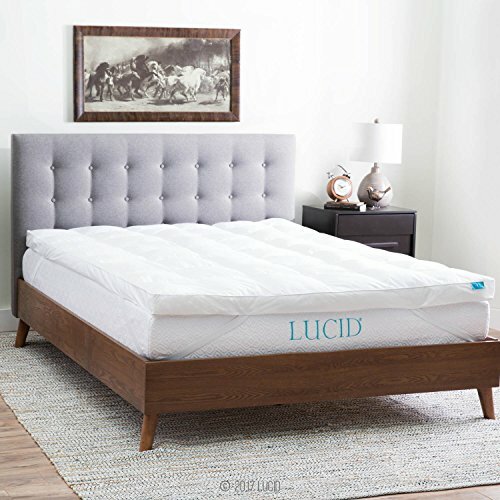 It has several other good points as well, and we’ll tell you what to look for in your next mattress topper in our easy buying guide. We’ve also rounded up the ten best wool mattress toppers available, so you can get a feel for what they can offer you. 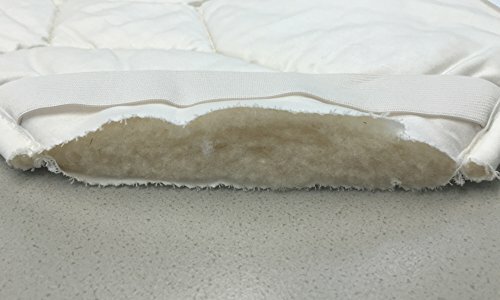 Before you have to know what to look for in your mattress topper, you may want to know what this bedding piece can do for you. First and foremost, a wool mattress topper can help you get a better night’s rest by providing an extra layer between you and your mattress. It can help to reduce pain and pressure points, and it can help to regulate your temperature as you sleep. It can also reduce the number of allergens present in your bedding because it is hypoallergenic. A lot of mattress toppers are easy to clean, and you can wash them in your washing machine and dry them in your dryer. However, some are too large or too delicate to handle your washing machine, and you may have to hand wash or air dry them. It’s always important to know ahead of time, so you know how challenging it will be to care for your topper. You want to check that your mattress topper is hypoallergenic. As well as reducing the possibility of it irritating any sensitive skin or triggering allergies, it can also repel other allergy triggers. A hypoallergenic mattress topper is usually very resistant to mold, mildew, pet dander, and dust mites. This can make your sleeping environment healthier for everyone, whether or not you have allergies. If it’s possible, you want your mattress topper to have a 100 percent wool filling, but it’s also common to find toppers with blends of cotton, wool, and polyester. Wool is excellent for allowing your mattress topper to breathe and release moisture, while polyester retains heat and moisture. So, the more wool you have in the filling, the better it can regulate your temperature. Some mattress toppers lay on top of the mattress, and you can’t anchor them directly to the mattress. This can lead to them sliding around at night. Many mattress toppers come with elastic bands on the corners that go under the mattress itself to secure it, or they may have a stretchy gauze layer that anchors to the mattress for extra stability. You want to ensure that your mattress topper lasts for a few years, and one way to do this is to see how it’s stitched together. Ideally, you want a double stitched design or a diamond stitch pattern. These can help hold the material in place, and ensure that it lasts through washing and drying. Mattress toppers come in a variety of thickness levels. The thicker the topper is, the more padding you’ll have between you and the bed. But, this can also make your sleeping surface softer, and some people don’t like soft beds. A good three-inch thickness level can usually give you enough support to help with your aches and pains while not interfering with how firm your mattress is. Choose from six different sizes ranging from a twin all of the way up to a California king. It fits mattresses up to 18-inches deep. 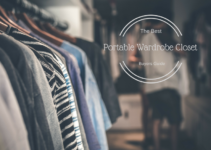 It’s made with a plush rayon material that has a hypoallergenic down alternative filling, and it’s backed by a 30 percent cotton and 70 percent polyester material. The soft 160 thread count cover features durable double baffle box stitch to prevent the filling from moving when you clean it. You get a 100 percent money back guarantee if you’re not totally satisfied, and the silent material ensures that you’ll get a good night sleep. You get the choice of four sizes with this mattress topper ranging from a full to a California king. It is filled with 100 percent organic cotton, and the wool is also an organic merino wool for added softness and breathability. The 300 thread count organic cotton sateen fabric that encases this mattress topper is silky soft, and it keeps you warm in the summer months and cool in the winter months. It weighs in at just over 10 pounds, and it’s easy to manipulate and put on your bed. 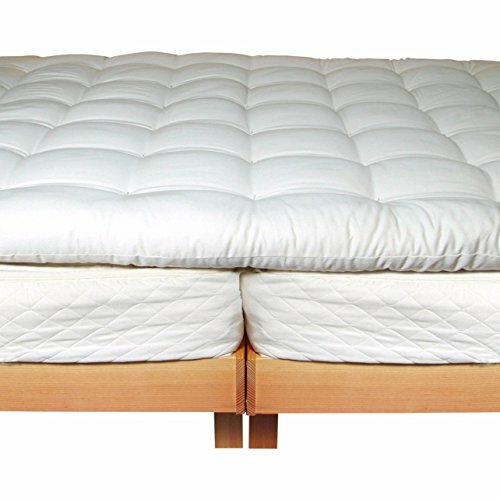 This larger mattress topper ranges from twin to California king sizes, and it is manufactured with eco-wool batting. It is made by a USA-based company that follows very high standards and guidelines. You’ll get 100 percent organic cotton fabric when you purchase this mattress topper. This thicker mattress topper is a great padding layer for traditional box spring beds, and you get three thick layers including two organic cotton layers and one eco-wool batting layer. It is designed not to shift and to hold its shape, so you get a comfortable sleep every night. 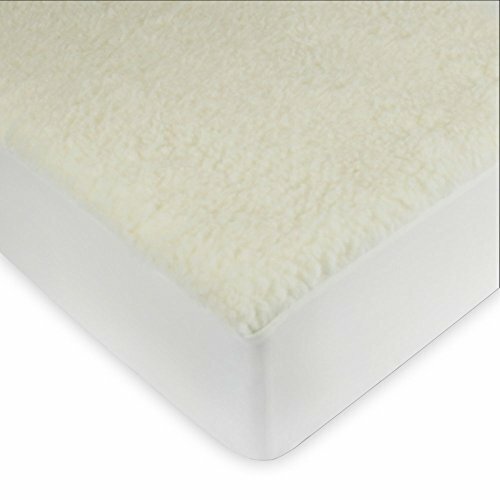 This mattress topper is packed with 65 ounces of wool per linear yard for a full and soft finished product. Sizes range from an extra long twin up to a large California king. It’s designed to be non-allergenic and to keep you cool in the summer and warm in the winter. You get 1.5-inches of padding with this topper, and it fits mattresses up to 18 inches deep. You’ll enjoy virgin American wool with a 100 percent cotton backing for a soft and sleek material. It has durable stitching at the seams for a durable and lasting product. This 100 percent wool topper comes with a 100 percent cotton fabric backing. You’ll get six ounces of down alternative filling per square yard, and this topper has a 10-inch frame diamond quilting pattern running throughout the top portion. It comes with four side cotton binding with anchor bands on the corners for a secure fit that won’t bunch up or slide around. This topper is designed to be thermal regulating, and it is a hypoallergenic topper that is resistant to dust, mold, mildew, and pet dander. 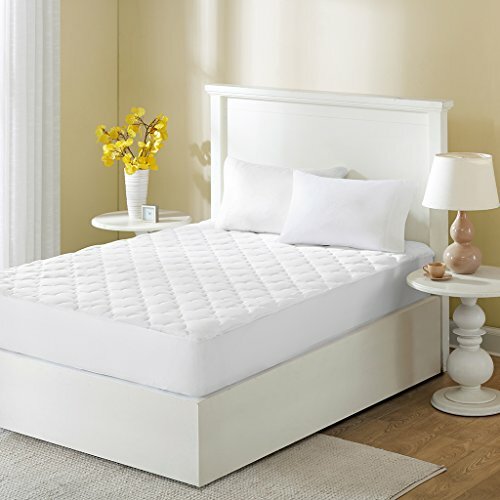 This mattress topper features a 100 percent cotton casing with a 10 percent wool and 90 percent polyester split filling. It is white in color so you can see any stains and you can wash it in your washing machine for easy cleaning. 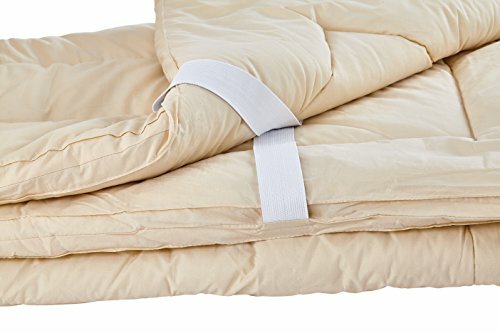 You’ll get 12-ounces of the wool and polyester blend in every square yard, and it has a silky soft 300 thread count sateen fully quilted cover. This mattress topper is hypoallergenic, and it works to repel dust mites, pet dander, mold, mildew, and other common household allergens quickly and easily. 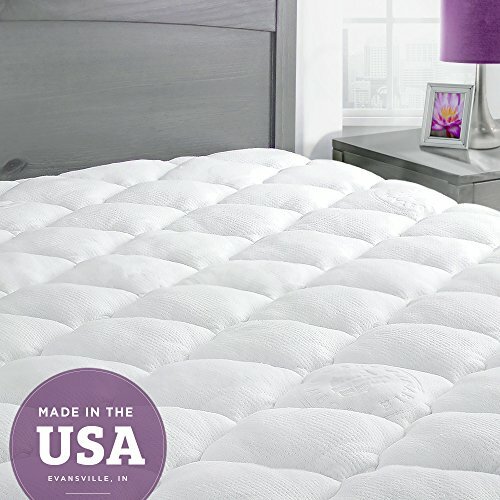 This mattress topper has a down and wool blend for the filling, and it is designed to be extra soft. It comes with a 250 thread count 100 percent cotton cover for a soft and breathable mattress topper. You’ll enjoy baffle box stitching that helps to improve the longevity of this topper as well as the loft, and it also improves the overall breathability of this product as well. It has thick elastic straps on each corner to help anchor this topper to the mattress for a secure and snug fit. You’ll enjoy a 100 percent pure wool filling with a 100 percent cotton sateen stitched shell for added durability. This product is imported, and the wool comes from French free-range Merino sheep, so you know you’re getting a quality product. You can pop this mattress topper into the washer for easy cleaning, and it comes in five different sizes. It comes with corner elastics for a secure and snug fit, and it won’t slide around during the night. This topper also comes with a fitted bed skirt that is 100 percent cotton. This topper comes with between 12 to 15 pounds of all natural chemical free wool layered inside it. You’ll get a durable poly cotton casing, and this topper measures 54 inches by 75 inches so you know exactly which bed it’ll fit. This is a chemical-free mattress topper that has a 10 and 12-year life expectancy. 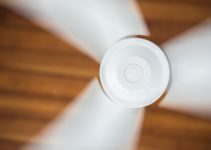 It’s hypoallergenic, anti-bacterial, anti-microbial, dust mite resistant, and it features temperature regulating layers to keep you cooler in the summer and warmer in the winter months. This is a slightly heavier topper weighing in at 25 pounds. 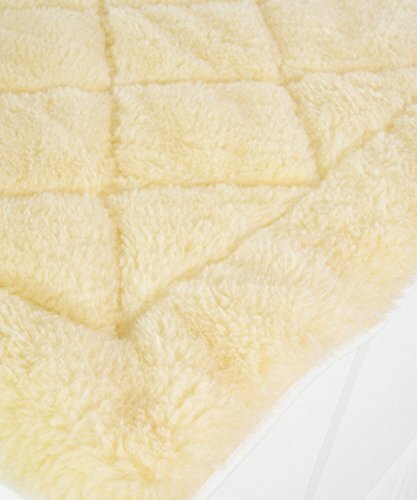 This mattress topper is made with 100 percent pure Australian wool that is natural and long lasting. It helps to regulate your body temperature automatically while you sleep, so you stay warm or cool depending on the season. You can choose from four different sizes so you can a good fit quickly and easily. It’s also very easy to care for because you can machine wash and dry it when you need to. It comes with a light backing, and it has a stretchy boarder so you can get a secure fit. 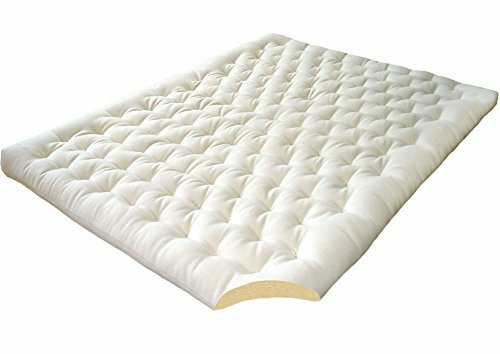 Our wool mattress topper buying guide and our mini-reviews will give you a good idea on what criteria you want to look for with your new mattress topper. Each mattress topper we picked has benefits and drawbacks, and you can quickly compare them all to see which one would suit your needs the best and make the best choice for your lifestyle.